Hey y'all! Today, I am styling my new leopard slingback flats that I recently purchased. I am a really big fan of leopard but especially leopard shoes! 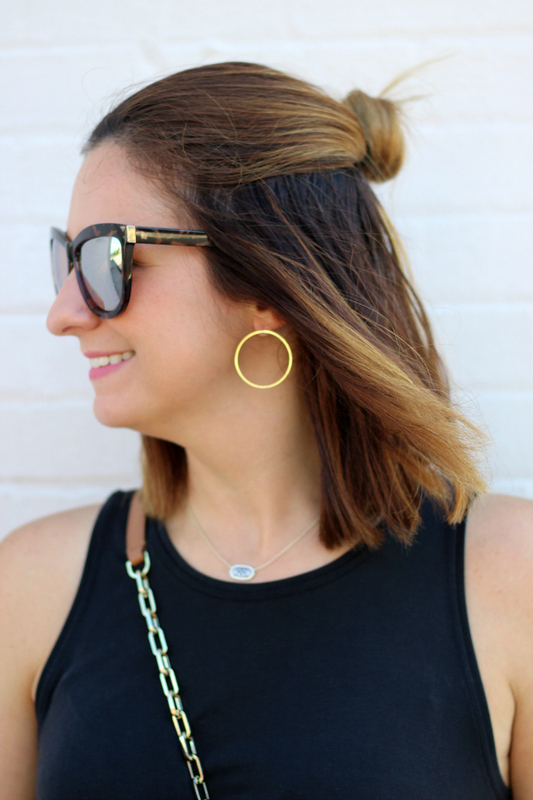 They add such a fun element to any outfit! I have been on the hunt for a new pair of leopard heels but when I saw these, I no longer felt like a needed the heels because these shoes are much more practical for my every day life. 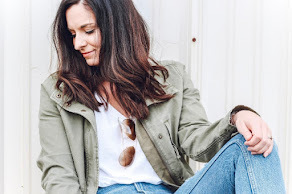 I am all about casually, put together outfits! This look today is perfect the end of summertime when you want to incorporate your new fall pieces but it's still super hot outside. I love pairing dressier pieces with more casual pieces, like these distressed denim shorts. Putting together items that normally wouldn't be put together makes getting dressed a lot more interesting. I styled my slingbacks with a black swing tank, silver and gold jewels, a neutral crossbody bag, and comfy shorts for a casual, wearable, fall inspired but still surviving the summer temps kind of outfit. The shoes run true to size and the quality is amazing. I'll be styling these adorable flats for fall here on the blog super soon. Such a great versatile pair of shoes! Thank you so much for stopping by! Have a happy Thursday! Those shoes are the cutest! 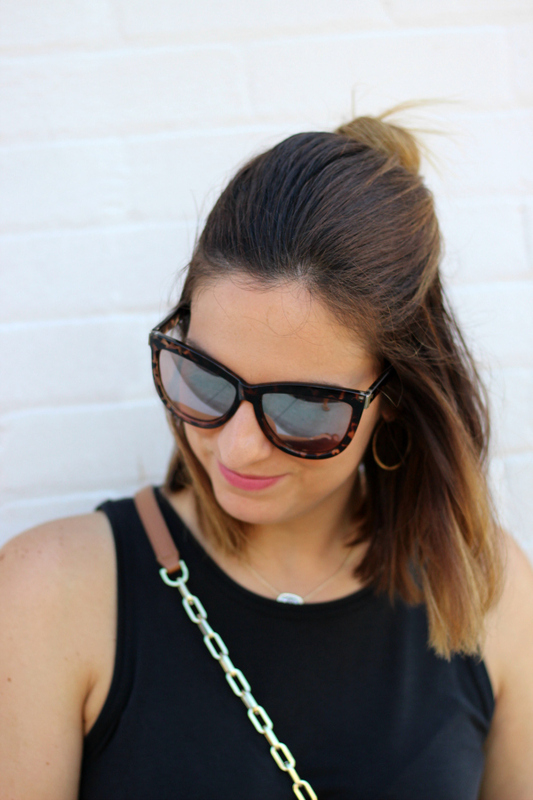 I love adding a pop of leopard to an outfit! 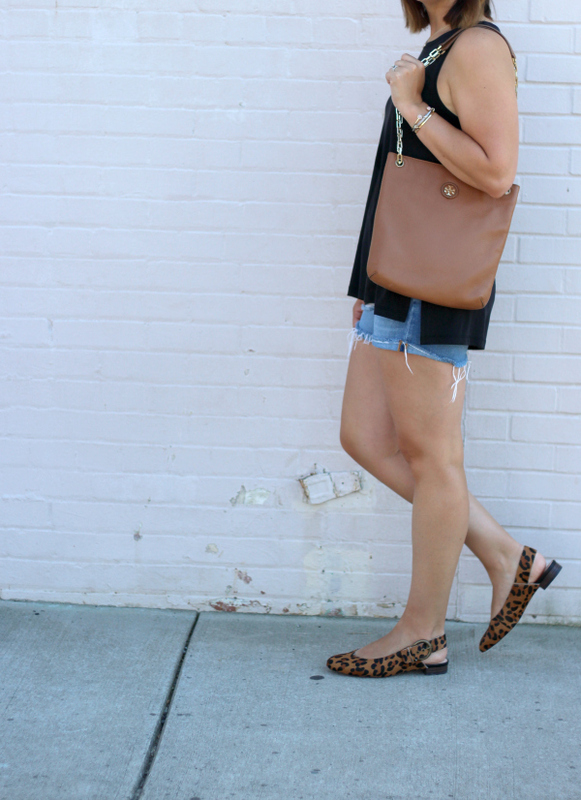 Love how your flats brought a little fall to your cute summer look! Those are so cute! I love shoes with slingbacks!